8mm - EAT080.91 Polished Chrome Triangular Edge Tile Trim. 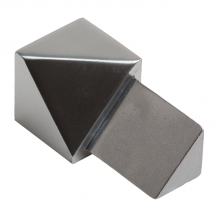 An extruded aluminium profile with a triangular face designed to protect the edges of ceramic tiles or similar hard finishes fitted in wall or floor installations. 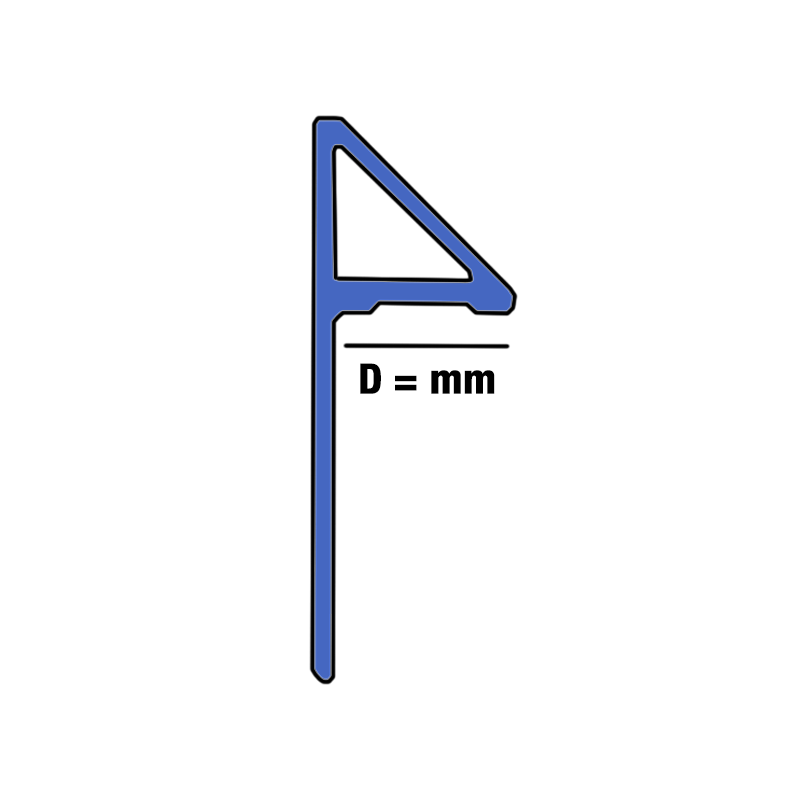 In choosing aluminium as a finishing profile the suitability of its installation must be determined if chemical or mechanical stresses are anticipated. 3-way corner pieces are also available to solve the problem of mitres that can often be sharp or unsightly. 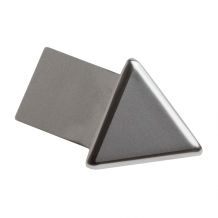 These unique profiles offers a attractive professionl finish to cermic tiles, the specially engineered triangular shape of these trims provide outstanding strength and protection for tiled edges and corers. All are supplied with a transparent protective film offering protection during transport, storage, simply peel off after installation.